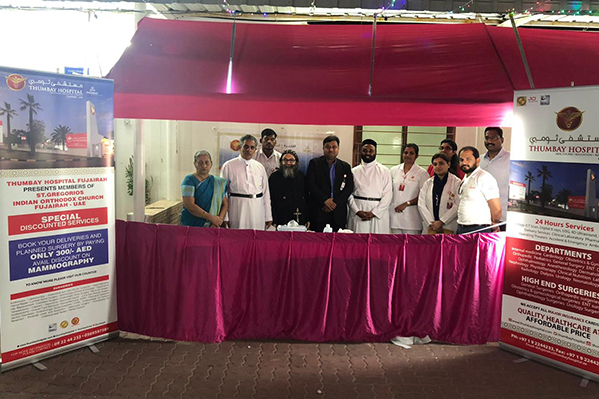 Thumbay Hospital – Fujairah, the leading academic hospital under Thumbay Group’s Healthcare Division participated in the Annual Harvest Festival organized by St. Gregorios Indian Orthodox Church, Fujairah on 09th November 2018, with a series of activities aimed at promoting awareness on the importance of preventive health checkup. As part of the campaign, Thumbay Hospital – Fujairah organized a medical camp offering free dietary counseling, blood pressure check & random blood glucose check. The hospital also offered special discount on mammography for breast cancer screening, in addition to discounted delivery packages to expectant mothers. Many people availed the services offered at the event. The event also witnessed the signing of an MoU between the hospital and the church, according to which special discounts would be available at Thumbay Hospital Fujairah, to members of the church. The MoU signing was preside by Fr. 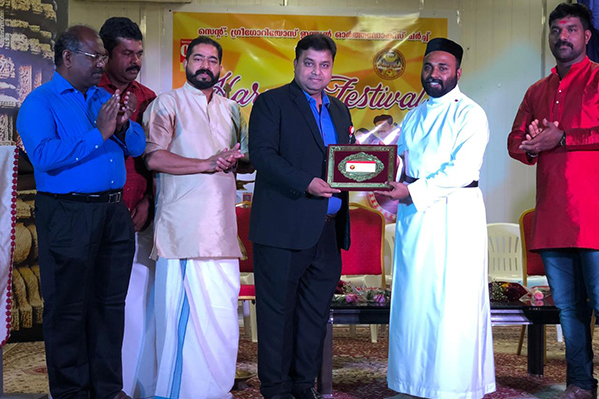 Abraham Thomas – the Vicar of the Church & President of the Church Committee and the Guest of Honor was Dr. Mohammed Faisal Parvez, Chief Operating Officer, Thumbay Hospital Fujairah. The Management of Thumbay Hospital, Fujairah announced that the hospital has plans to conduct more health awareness activities across organizations in the Emirate. Thumbay Hospital Fujairah is a 60-bed multi-specialty hospital having JCI & SKEA accreditation.